Home > Gezondheid > Why is the media so afraid of this woman’s work? 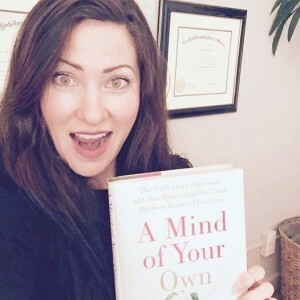 (GreenMedInfo | GMI Reporter) One of the most important books in the history of psychiatry and natural medicine has been published by HarperCollins, who unique among their mainstream publishing competitors, had the guts to release it completely uncensored. 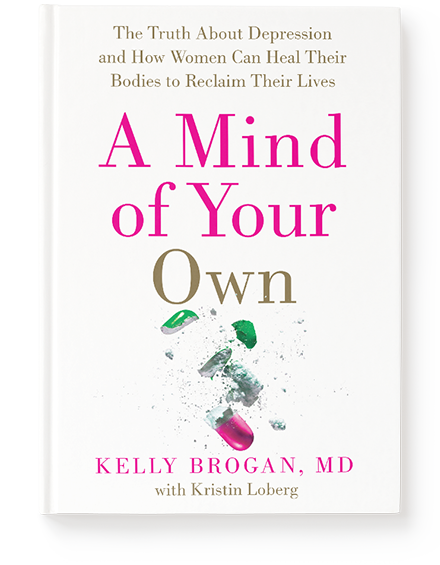 And so, despite Dr. Brogan’s entirely evidence-based and extremely empowering message, the book has been unilaterally silenced by the mainstream media after every major news outlet requested and reviewed a copy of the book. This is all the more conspicuous, considering its grassroots validation by becoming a #1 best-seller in both Depression and Holistic Medicine categories before it even was released to the public. Get complimentary access to the 1st chapter, "Decoding Depression" here. Read Dr. Kelly Brogan's message about the media blackout and action steps; we need your help! - In six decades, not a single study has proven that depression is caused by a chemical imbalance in the brain. - The serotonin theory of depression is a myth that has been supported by the manipulation of data and an echo chamber of industry and media rhetoric. - Depression is not a genetic disease. It is an epigenetic syndrome. In 2003, a study published in Science suggested that those with genetic variation in their serotonin transporter were three times more likely to be depressed. But six years later this idea was wiped out by a meta-analysis of 14,000 patients published in the Journal of the American Medical Association that denied such an association. - Depression is often an inflammatory condition, a manifestation of irregularities in the body that can start far away from the brain and are not associated with the simplistic model of so-called 'chemical imbalances'. - Depression is an opportunity. It is a sign for us to stop and figure out what's causing our imbalance. I have spent years voraciously researching to find better health solutions for women, hungry for the truth about what works and what doesn't. In my research and work with patients—people just like you—I've been analyzing data and connecting the dots. - Help you change the beliefs we've all been fed by a system that is not really focused on wellness, but on symptom suppression—and profit. - Help you discover your body's innate ability to recalibrate, reset, and recharge so you can heal. - Give you simple, highly practical steps in a comprehensive plan that activates your own healing power so you can start feel freer and healthier in thirty days or less. To get deeper perspective on this story, visit Kelly Brogan's site for the full explanation here: How Going To Your Local Bookstore Can Help Change the World.